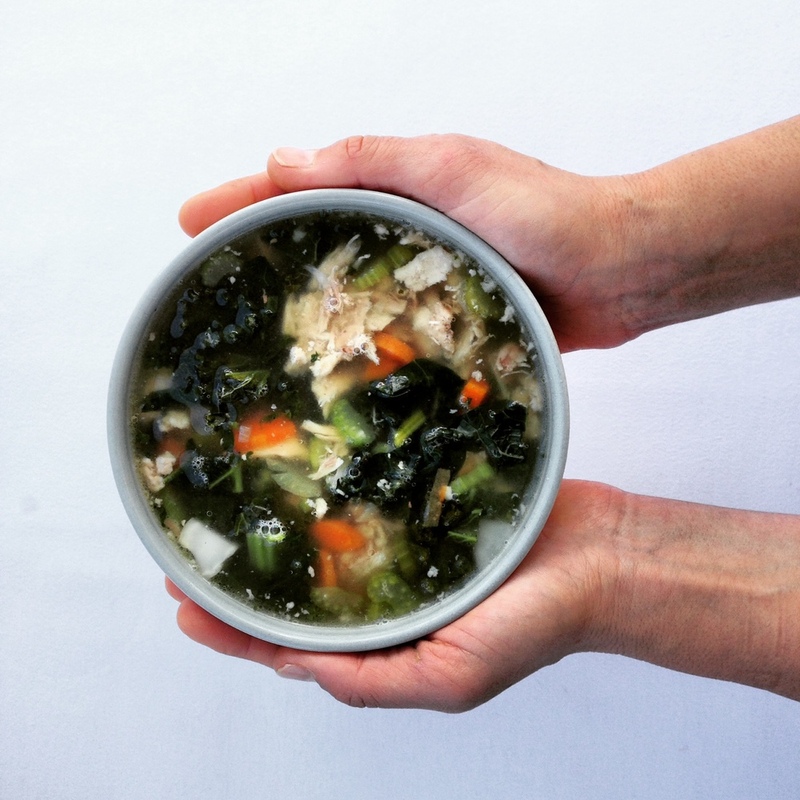 These soups are all made in a base of our long slow simmered organic chicken broth. The popularity of my broths (aka stocks) together with customer requests over the years for broth-based soups led me to create these babies. Soups made in a base of water taste bland and are not as nutritious as those made in a gelatinous broth. Most soups on the market do not contain any traditional saturated fats or protein which means you are left hungry soon after. For our 4 blended soups, we add traditional healthy fats in the form of organic pastured butter and loads of seasonal veggies to make a beautiful nutritious meal, entree or snack. For the chunky chicken and veg soup we add pieces of pastured chicken along with the veggies. That one is my favourite and reminds me of my mum’s chicken soup growing up! It is a hug in a bowl. My kids have been enjoying taking these soups to school for lunch in a thermos container and they are my go-to lunch meal. Broth-based soups are also a great way to inject deeply nourishing broth and veggies into kids who won’t otherwise eat them. Like our stocks, our soups are sold frozen in 500ml containers but if you prefer fresh just let us know so we can put some aside for you in the fridge instead of freezing. You can find our soups at selected stockists and also at my workshop in Waverley. They are flying out the door so I will be very keen to know which is your favourite flavour and why! I hope you love them as much as we love making them for you! Taste Organics at 25 Falcon Street, Crows Nest are selling a range of our products including our frozen stocks, raw dark chocolates (look in fridge! ), and activated nuts. 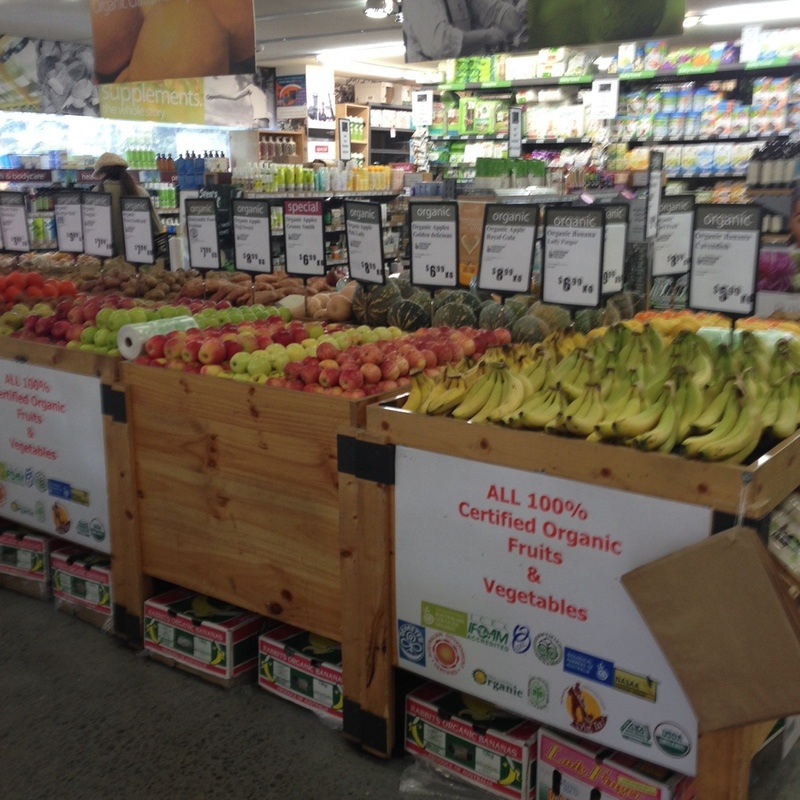 We hope those north of the bridge check out this great organic store (I was impressed with its size!). The Royal & Ancient are a fruit kiosk in Pitt Street (Crn Rowe) in Sydney CBA selling an impressive array of clean whole foods. Where was this place when I worked in the CBD a decade ago? Our collaboration with The Royal and Ancient brings city workers and dwellers our activated nuts repackaged exclusively in 2 unique sizes. If you are a stockist and would like to stock our products please contact me at info@staraniseorganic.com. If you shop at a favourite haunt and think they would be interested in stocking our products, please let me know their name and I will contact them directly. New Product - PUMPKIN SOUP! I am excited to announce that we are launching a range of broth base soups to our line…. starting with pumpkin soup. Perfect for winter! Contains onions and carrots in addition to pumpkin. This makes for a very smooth, creamy, deeply nourishing and satiating soup. Over the colder months I’ve been packing it for the kids’ lunches in thermos containers to stay warm. PURCHASE DIRECT FROM SELECTED STOCKISTS SUCH AS THE HEALTH EMPORIUM OR EMAIL ORDERS@STARANISEORGANIC.COM TO COLLECT FROM MY WORKSHOP IN WAVERLEY. WE CAN ALSO SHIP TO YOU IN SYDNEY FOR AN ADDITIONAL COST. THESE ARE SOLD IN 500ML FROZEN CONTAINERS (BPA FREE). IF YOU WOULD LIKE A FRESH (UNFROZEN) BATCH LET US KNOW AND WE CAN ARRANGE THAT TOO! Introducing Our New Dairy-Free Panna Cottas! We are extremely excited to announce that we have launched a line of panna cottas available in 3 sensual flavours: Chocolate, Vanilla, and Activated Pecan. 4. Either raw cacao powder, vanilla extract (alcohol-free) or my activated pecans. A cross between a custard and a jelly, a panna cotta is a smooth luscious dessert or snack loved by young and old. My kids adore them and I often pull these out at dinner parties if I’m too time-poor to bake anything. For more information, head over to the Products section of my website. As with all of my products, these can be purchased directly from my workshop in Waverley or in the refrigerated section of selected Stockists. I want to know what your favourite flavour is?! ?